Spend a night on the town with dinner and a tango show on this 4-hour outing at La Esquina Homero Manzi. 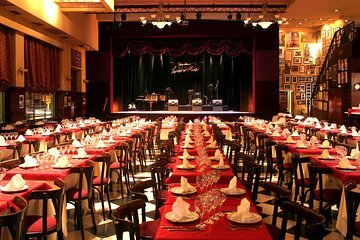 Sit down in the historic venue, dating from 1917, for a traditional meal of Argentinian specialties. With a full belly, sit back for the entrancing performance that includes more than fifteen artists on stage. Listen as a live musical quintet (bandoneon, piano, violin, guitar and bass) and two singers accompany the talented dancers. Round-trip transportation from Buenos Aires hotels is included.